There have been a lot of really great pixel art events taking place over at the qbee lately. 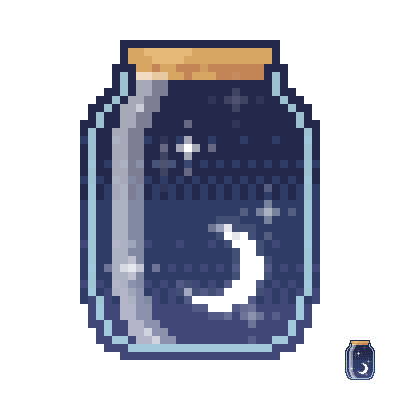 This was an entry for the star jar competition, which won second place for the best pixeling category. Too bad I missed this one. 🙁 It’s really cute!